There are no major travel delays on the south’s roads this morning (July 4). On the A27 there is congestion on the Chichester Road, at the A284 Ford roundabout/Arundel town centre (10.45am). There is one lane closed on the A23 West Sussex, between the A273 Pycombe and the A27 Brighton. There is queuing traffic on the A23 southbound between Pycombe and Patcham because of an accident involving a single vehicle. On the A259, King’s Road, Brighton there is queuing traffic along the seafront. 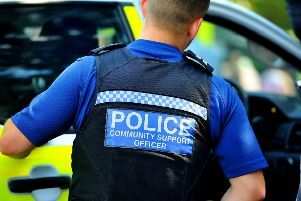 The A283 Steyning Road was closed this morning after an accident involving a motorbike and a car. Early reports suggested a coach and motorbike collided, however police said the coach was not involved in the accident, which involved only a car and a motorbike. The incident happened shortly after 9am and a spokesman for Sussex Police said no-one is thought to have been seriously injured in the accident. The road has now reopened and cleared between the A27 (Clover Leaf Interchange) and the A2037 (Upper Beeding). There are no reported problems on Wightlink, Hover Travel, Or Brittany Ferries today. There are no major delays on National Rail services this morning. On Southern services, engineering work is taking place between Rye and Ashford International from 10pm on Saturday until 8am on Sunday, closing the line. Main routes appear to be clear this morning but there are delays on the major routes. Weather wise, Saturday is set to be fine and dry throughout the day with some good long sunny spells, especially in the afternoon and early evening. It will be feeling hot in the afternoon sun. Tonight it should stay dry throughout the night, with light winds and some long clear spells, particularly in the early hours of Sunday.